Thanksgiving is coming up soon which means it’s time to start thinking about all the yummy food we’ll be piling on our plates! 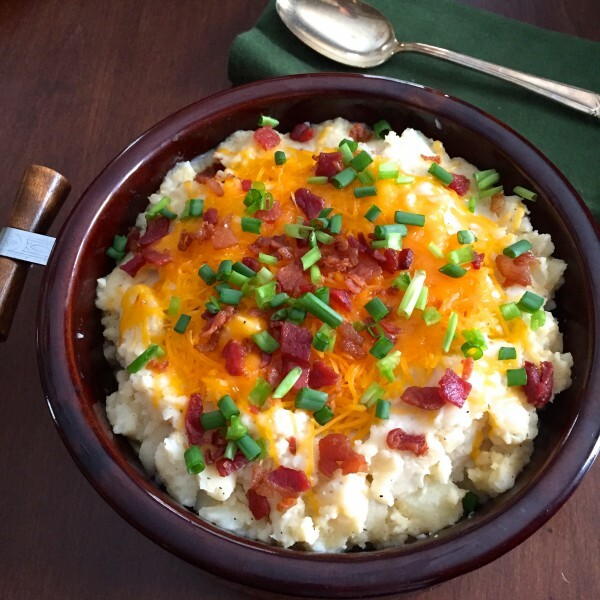 One of the most important things about Thanksgiving dinner is having great side dishes, so here is a recipe for the best mashed potatoes you’ll ever eat. Peel and dice your potatoes, place them in a large pot, and cover with water. Boil for 8-10 minutes until potatoes are tender. Remove from heat and drain water, then place back into pot. Preheat oven to 350 degrees and prepare casserole dish with non-stick cooking spray then set aside. Start mashing potatoes. Slice butter and add it with sour cream to potatoes. Keep mashing until smooth and creamy. Add milk as needed to get the texture you want. Mix in seasonings. Add the potatoes to your casserole dish. Top with cheese and bacon, then bake for 5-8 minutes or until cheese is melted. Finish it off with adding shredded green onions on top if you want! This is just a simple recipe that is sure to have everyone’s mouth watering at your table!